What happens when you combine a world-class city, a massively untapped fan base, and an outstanding sports venue? A sport-lovers dream! 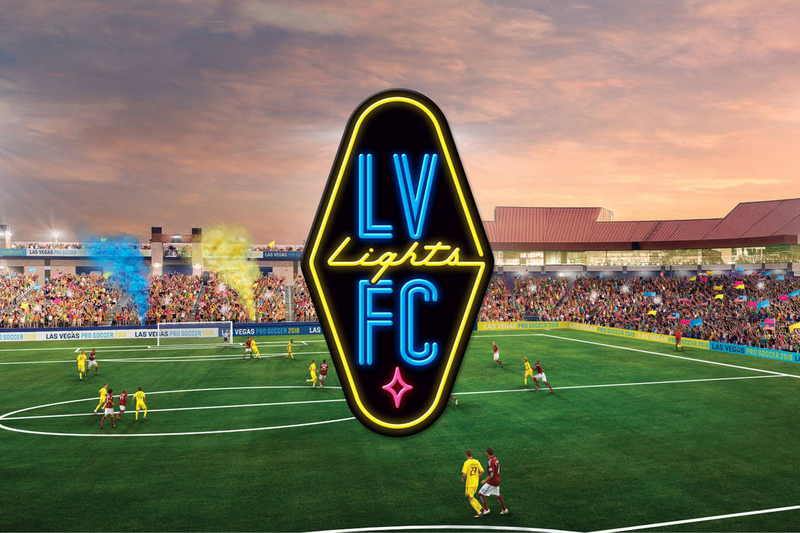 This February, Las Vegas welcomed their newest professional sports team, the Las Vegas Lights FC. Before the Lights arrived, Las Vegas was the second-largest city in the United States without a professional soccer team. However, with the recent success of the Golden Knights and the upcoming relocation of the Raiders, it appears that Las Vegas is turning over a new leaf in the sports industry. Let’s learn a little more about the United Soccer League, Las Vegas Soccer, and the Lights! Las Vegas Soccer, LLC was founded by Las Vegas resident Brett Lashbrook and his family to bring professional soccer to Southern Nevada. His ties to professional soccer run deep, as Lashbrook has served many positions within the business operations across several markets of the United Soccer League. He believes that like the rest of the world, the U.S. will continue to see a rise in the popularity of soccer. Considering the USL is already one of the most prominent Division II professional soccer leagues in the world, with 33 clubs and a reach of over 75 million people and counting, the USL is bound to put professional soccer on the map in the coming years. Perhaps one of the most telltale signs of the Lights FC exuding pride for their new hometown is the fact that the team name was selected by the fans themselves through a user poll from a list of six candidates. Among the contenders? Las Vegas FC, Las Vegas Lights, Las Vegas Action, Viva Vegas, Club Vegas and Las Vegas Silver. And incorporating the fans didn’t stop there! After locals named the team, the fans continued to mold the team’s identity. Hundreds of logo designs were submitted, and the final logo features several tributes to the city, including the neon sign style that The Strip is known for. Lead by Coach José Luis Sánchez Solá, commonly referred to as Chelís, the Lights FC signed Sebastian Hernandez. Hernandez is a UNLV graduate who has traveled the globe to Germany and France, chasing his dream as a professional soccer player. Adolfo Guzman, Marco César Jaime Jr., Julian Portugal, and Matt Thomas are also signed for the preseason. These five promising players will compete to become members of the club’s first regular season roster. Cashman Field is located in downtown Las Vegas, near bars, restaurants, condos, and nightlife, and features over 10,000 seats. Named after James “Big Jim” Cashman and his family (Las Vegas entrepreneurs for several generations), Cashman Field was featured as a landmark in the video game Grand Theft Auto. Cashman Field is also a mixed-use stadium, home to both the Las Vegas 51s and the Las Vegas Lights FC. Having opened in 1983, Cashman Field is the second-oldest stadium in the Pacific Coast League and the third-oldest in Triple-A baseball. 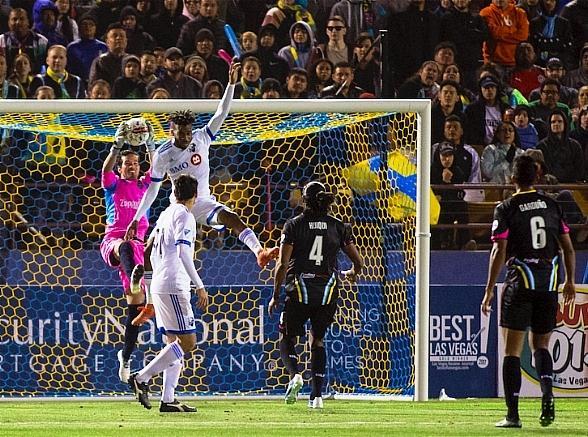 The 34-year-old stadium is well suited for professional soccer and will only be shared with professional baseball through the 2018 season, after which the Las Vegas 51s baseball team plans to move to Summerlin. Once the 51s relocate, USL Las Vegas will convert Cashman Field into a “soccer-specific” stadium, featuring additional seating and fan amenities. Cashman Field has sufficient parking and is configured perfectly for a full-size soccer stadium. While the league has a national footprint with two conferences dividing the east and west, its schedule is geared towards a regional approach, specifically designed to build rivalries, such as with the already promoted and highly anticipated rivalry between Las Vegas Lights FC and Reno 1868 FC. The two Silver State teams will match off on Saturday, March 24 for the Lights FC’s first regular-season home game.